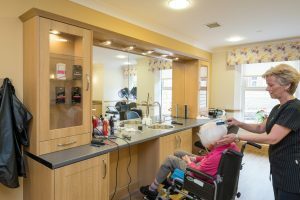 Our home aims to allow each new resident coming into care to begin a new journey in their life with a person-centred approach, promoting individuality and independence. Our home is welcome to all, regardless of religion or beliefs. We understand it is a difficult decision to move into a care home; you can be assured that our staff are very welcoming and supportive to all in the decision and are here to make that move as smooth and stress free as possible. Our core values of Love, Compassion, Respect, Hospitality, Justice and Patience are incorporated into the daily living of our residents and anyone who visits the home. All our staff are highly trained in dementia care, residential and end of life care, and are greatly supported by the district nurse GP team. 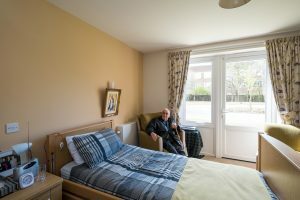 Our care home offers 70 single bedrooms and was recently built in 2015.